The first Grubic’s Cube happened in 2009 at Hotel Congress in Tucson, Arizona. A four-piece jazz band was placed inside a cube and asked to play “The Girl from Ipanema” ad nauseam. 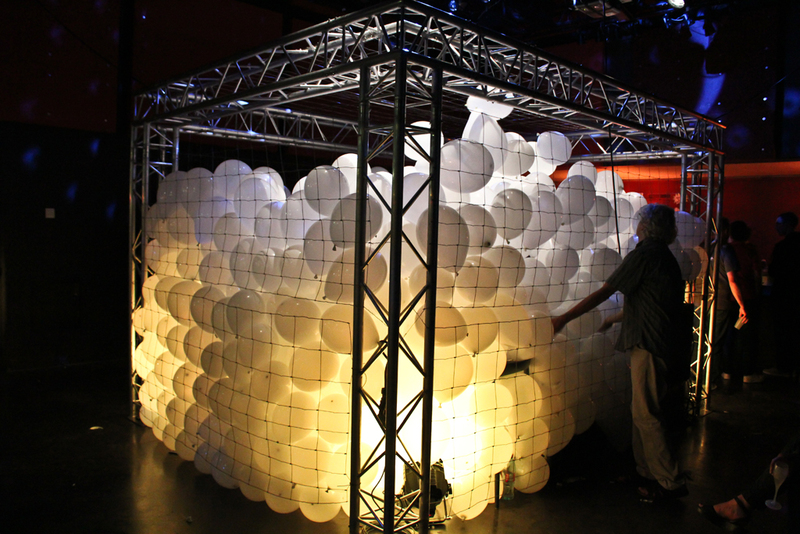 Passers-by were given balloons to inflate and place in the cube with the intent of stopping the music by immobilizing the musicians.